When you think of cute puppies, which breeds come to mind? Chances are, you think of the same breeds everyone else in America knows and loves: Labrador Retrievers, German Shepherds, Golden Retrievers, Bulldogs, Beagles, Siberian Huskies, etc. These may be the most popular breeds in the US, but that definitely doesn’t mean they are the cutest dogs out there. 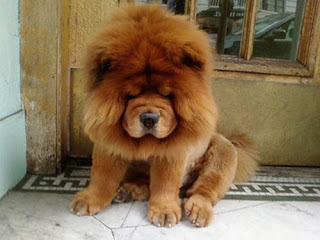 By selective breeding practices and geographic isolation, hundreds of dog breeds have been created to do man’s bidding. Some breeds never came into vogue, others never had large population numbers, and more have had their livelihoods phased out, and are now considered rare. All of them are found in such small numbers that they sometimes aren't even acknowledged by the American Kennel Club. The Fila Brasileiro also known as the Brazilian Mastiff is a large working breed of dog developed in Brazil. It is known for its superb tracking ability, aggressiveness and an unforgiving impetuous temperament. When a Brazilian Mastiff finds its quarry, it does not attack it, but rather holds it at bay until the hunter arrives. 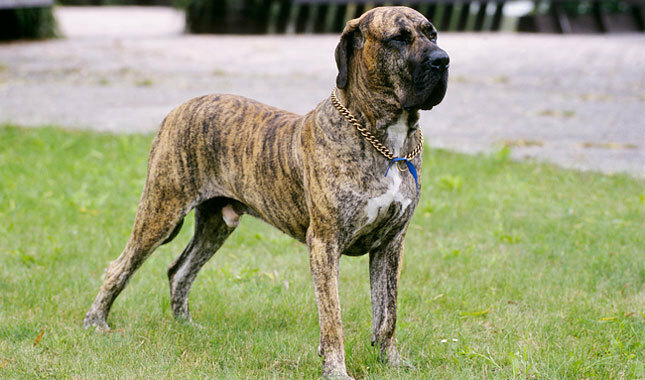 Owing to these qualities, the Brazilian Mastiff is used as a guard dog, as a shepherd dog for herding livestock and as a hunting dog for tracking and controlling large prey. When slavery was legal in Brazil, the Brazilian Mastiff was used to return fugitives unharmed to their slave masters. This breed has been banned in many countries because of its temperament and potential for aggression. 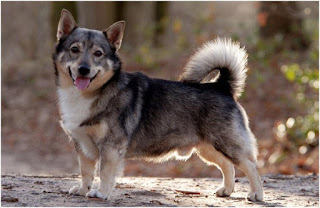 The Norwegian Lundehund is a small, purebred dog originating from Norway. 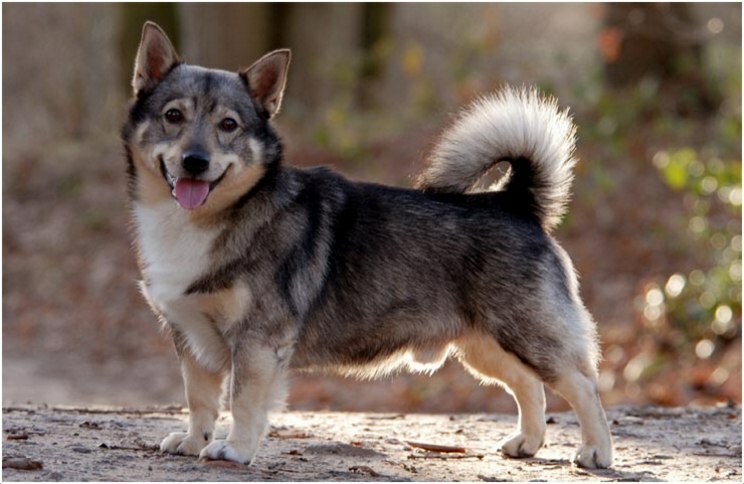 The Norwegian Lundehund is known for being super alert, protective, energetic, and loyal. Most of these pups have either black, grey, red, white, or yellow fur. Their life expectancy is between 12 and 15 years, and they are comparable to the very popular Shiba Inu breed in size and appearance. Often referred to as a miniature Husky, the Alaskan Klee Kai is a medium-sized dog breed with very similar markings to the Siberian Husky. The most desirable feature in a Klee Kai is the facemask (similar to the markings seen on a Husky face). The Alaskan Klee Kai can be seen in a toy, miniature or standard since weighing anywhere from 5 to 22 pounds at a height of 13 to 17 inches. 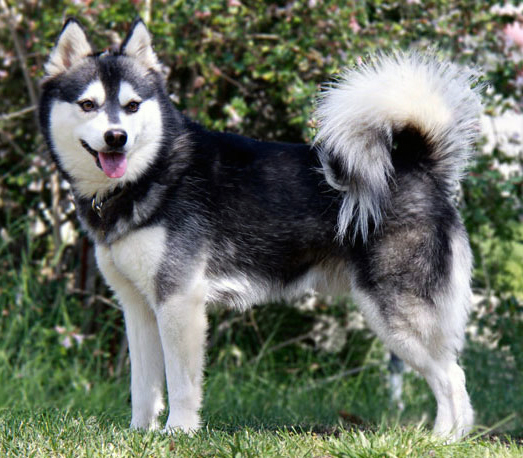 The Alaskan Klee Kai is a small and affection dog that is a loving and loyal family pet. This breed may be cautious around strangers and small children, so it is best to socialize it at an early age. The Klee Kai makes a good watch dog as it is very alert at all times. The New Guinea singing dog is named for its unique vocalization. Some experts have referred to it as a wild dog but others disagree. Little is known about New Guinea singing dogs in the wild and there are only two confirmed photographs of wild sightings. Captive-bred New Guinea Singing Dogs serve as companion dogs. 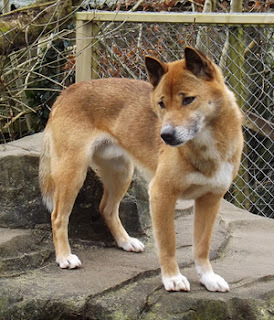 The New Guinea singing dog is a small-to-medium-sized dog of fox-like appearance with a wedge-shaped head, prick ears, obliquely-set triangular eyes, plush coat and a brushy tail. The New Guinea singing dog is extremely agile and graceful. This breed is presented in a completely natural condition with no trimming, even of whiskers. The coat is average to long in length. 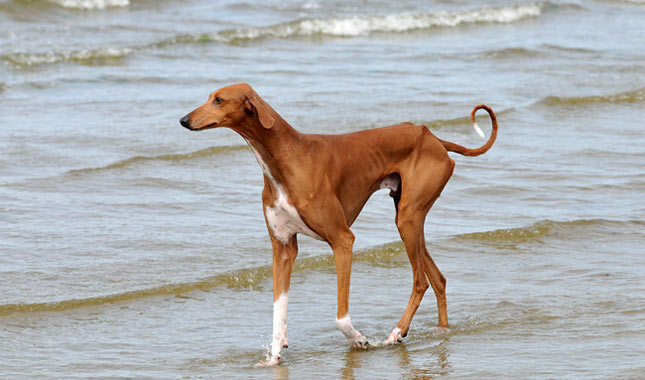 Colors include red or shades of red with or without symmetrical white markings, black and tan. White markings are common, but should not form more than one-third of the body's total color. White markings are permissible only in the following areas and may not form spots or patches on the body: Muzzle, face, neck, belly, legs, feet and tail tip. The head is fairly broad and the body duly muscular. The jaw structure is more advanced than a Dingo's. The hindquarters are lean and the medium-length tail is soft and fluffy. 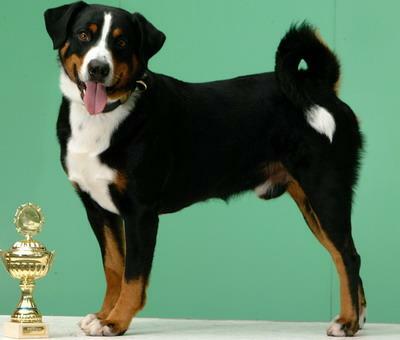 Also known as the Appenzeller Mountain Dog, this is the rarest of the four ancient Swiss mountain dog breeds. He got his start as an all-around farm dog — herding livestock, pulling carts, and guarding the farm — in the Appenzell region of Switzerland. Today the Appenzeller's known for being a versatile working and family dog who's smart, cheerful, self-assured, reliable, and fearless. 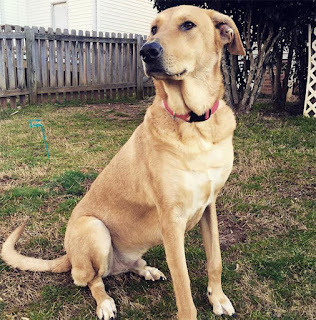 His slight wariness around strangers and tendency to bark makes him a good watchdog, but he needs lots of early socialization so he doesn't become overly suspicious. And because of his barkiness, he's not the best dog if you have nearby neighbors. The Bedlington Terrier captures your attention with his unique lamblike appearance and keeps it with his entertaining, opinionated personality. Don't let his appearance fool you, however. The Bedlington is all terrier: inquisitive, intelligent, alert, and aggressive toward small animals outdoors. Bedlingtons throw themselves with enthusiasm into the activities of their family. They love to be the center of attention and will play the clown to get it. Bedlingtons welcome guests and entertain them with their antics, but they'll let you know if they think someone's shady. Bedlington people say their dogs have astute judgment and make excellent watchdogs. 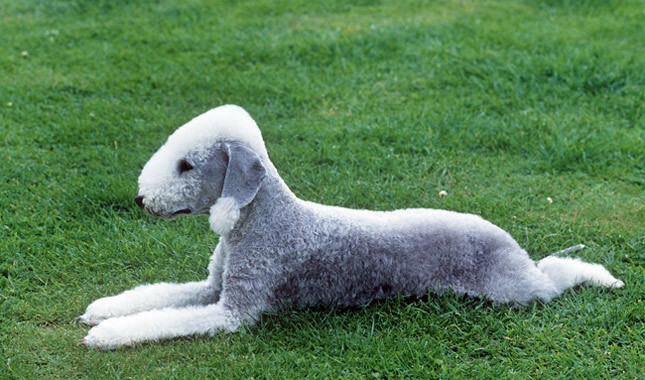 Exercise is important to keep a Bedlington happy and healthy, but he has moderate energy levels and activity needs. He'll match his activity level to yours and can be satisfied with a nice walk or vigorous game of fetch. He can jog with you or go on a hike. Although he's rarely used in the field, his hunting abilities include pointing, retrieving, tracking, and, of course, going to ground after den animals. Whatever you do with him, he's happy to be a couch potato afterward. Affectionate and tolerant, this hunting dog breed gets along with people, kids, and other pets. However, like all sporting breeds, he needs a great deal of exercise to stay happy and calm. He excels at water retrieving in particular, but also enjoys other canine sports. 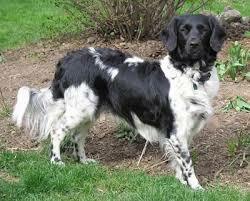 The Stabyhoun or Stabij is one of the top five rarest dog breeds in the world as of 2013. It is from Friesland and in particular from the Frisian forest area, a region in the southeast and east of Friesland. 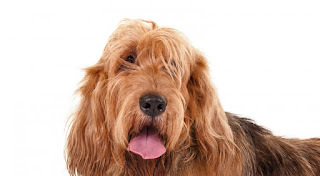 The breed has been mentioned in Dutch literature going back to the early 1800s, but has only extended its range from the 1960s outside of Friesland and not until the 2000s did the range officially extended beyond the Netherlands. The name Stabij translates roughly as "stand by me" with the last part simply Frisian, meaning dog, which is pronounced "hoon". The dog is considered a Dutch national treasure. There are only a few thousand Stabyhouns in existence today worldwide. 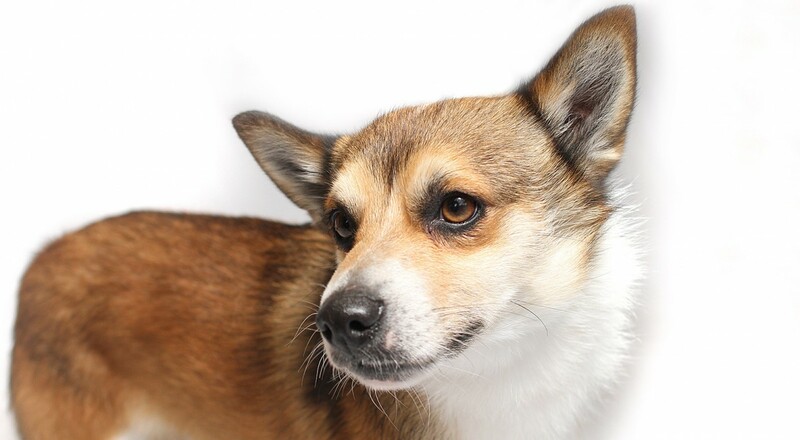 With its fox-like appearance and fluffy coat, this breed is a strikingly handsome one. Originally bred in Finland, the Finnish Spitz was initially bred as a hunting dog. Owners employed the dog to hunt small game like grouse; however, it has also been deemed as effective for hunting large game like moose. In many ways, it’s strange that this breed is so rare outside of its homeland as it also makes an excellent family pet and is revered for its child-friendly temperament. While Finnish Spitz puppies are often born with dark coats, adults sport coats that range from honey-gold to golden-red. Some adults may sport a chestnut coat. As a medium-sized dog, males may weigh no more than thirty pounds. Females rarely weigh beyond twenty-two pounds. Lively and alert, the Finnish Spitz loves to be active. This breed does not like to be kenneled, however, and values its run of the home. Indoor exercise complements its fitness needs, but it also requires long walks and outdoor play. 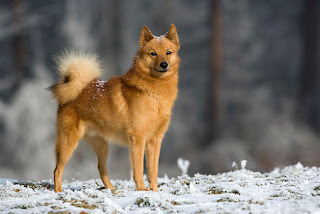 In its homeland, the Finnish Spitz is famous for its barking ability and has been hailed as the “King of the Barkers.” Because they are exceptional barkers, many people prefer to employ them as watchdogs. 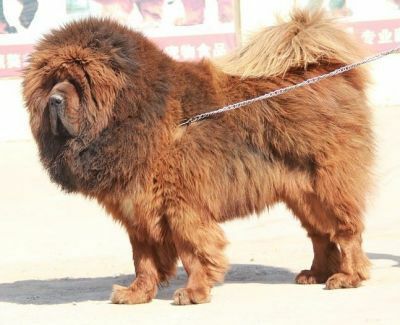 The Chinese Foo hails originally from China and was bred for guarding Buddhist temples, and can be dated back to Antiquity. The Chinese Foo dog is compact and has a square profile. It comes in three sizes: Toy, Miniature or Standard. It has a moderately broad head with pricked ears and the tail is carried over its back. Their chest is deep and moderately broad with a short, powerful and compact body, well-sprung ribs, and short, wide, muscular loins. It has a broad wedge shaped heal and the muzzle and back of the skull look to be of equal length when regarded from the side. The stop isn't large, but it is clearly defined. The nose is straight and usually black in color. Its ears are set high and are firm and erect when on alert. They are rather small considering the size of the dog, and are rounded at the tips. 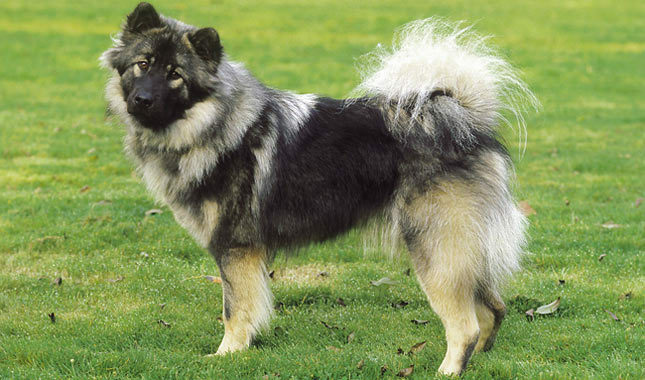 The Eurasier is a relative newcomer to the dog world. Created in Germany only 50 years ago, he is the product of crosses between the Wolf Spitz, a Nordic-type breed found in Germany, the Chow Chow, and, later, the Samoyed. The resulting puppies bred true, meaning they could reproduce themselves, and a new breed was born and recognized by the German Kennel Club and the Federation Cynologique Internationale. 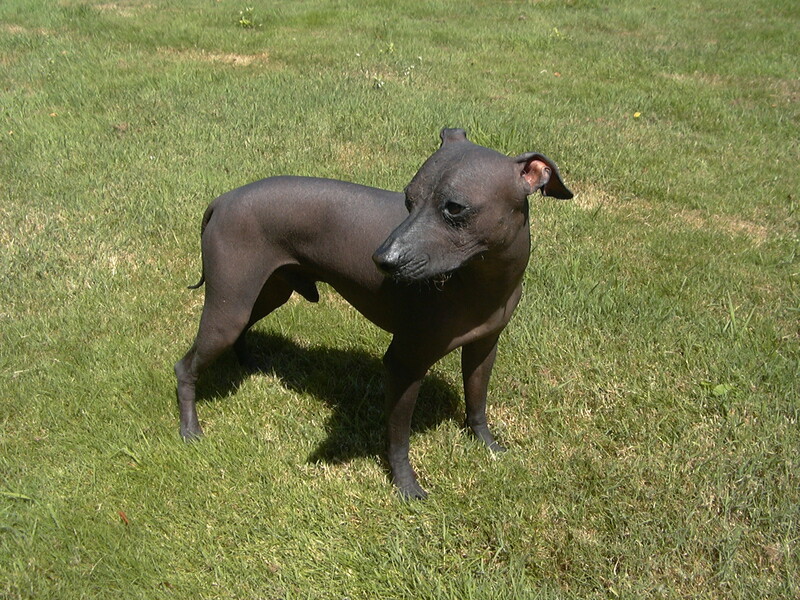 The name was chosen to signify the breed’s European and Asian background. This rare dog is a Hungarian herding dog that is still bred for work as well as for show and companionship. 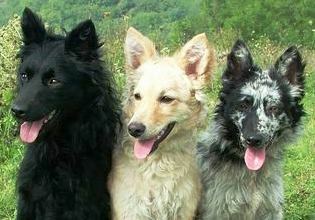 A relative of the Puli and Pumi, the Mudi is found in a variety of colors such as fawn, black, white, yellow, gray, and others. The dog is well-liked for its great versatility. It is a great hunter as well as herder. It is also beloved for its great temperament. Known for its health and long life, the Mudi does like to exercise. Its active nature is what makes it so ideal for herding. Aside from enjoying plenty of walks and exercise, this dog is also a game lover. It will excel in games like Frisbee or other types of fetch games. An agile and intelligent breed, the Mudi also makes a fine guard dog. 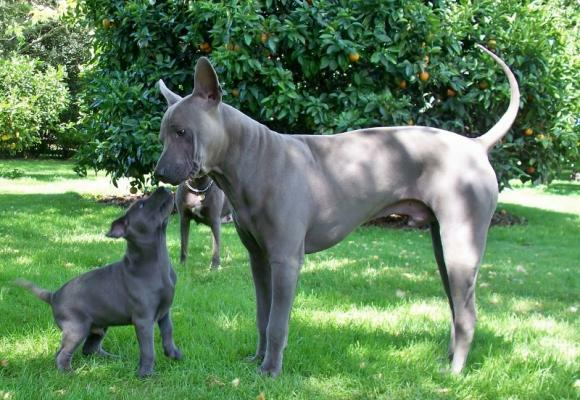 With all its many charms, it is a wonder that this breed is so rare! The Czechoslovakian Wolfdog is very playful, temperamental, and learns easily. 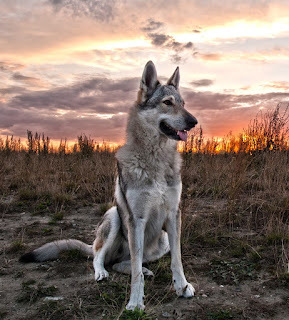 However, it does not train spontaneously, the behavior of the Czechoslovakian Wolfdog is strictly purposeful - it is necessary to find motivation for training. The most frequent cause of failure is usually the fact that the dog is tired out with long useless repetitions of the same exercise, which results in the loss of motivation. These dogs have admirable senses and are very good at following trails. They are very independent and can cooperate in the pack with a special purposefulness. If required, they can easily shift their activity to the night hours. Sometimes problems can occur during their training when barking is required. If you picture a small dog with a dark coat, pointed ears and a fluffy tail, you have the image of a Kai Ken. 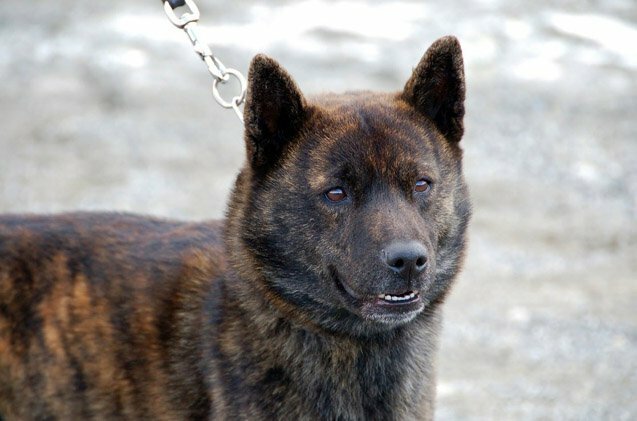 These dogs hail from Japan where, even in their native land, they are still considered fairly rare. What makes these dogs unique is the tiger-like stripes that adorn their coats in various shades. There are two variations of the Kai Ken – the shishi-inu-gata type and the shika-inu-gata type. The former is known for its stockier body and bear-like face. The later was famed for deer hunting and is known for its longer, thinner body and foxlike face. Today, the Japanese do not distinguish between the two types as both played a significant role in the development of the breed. 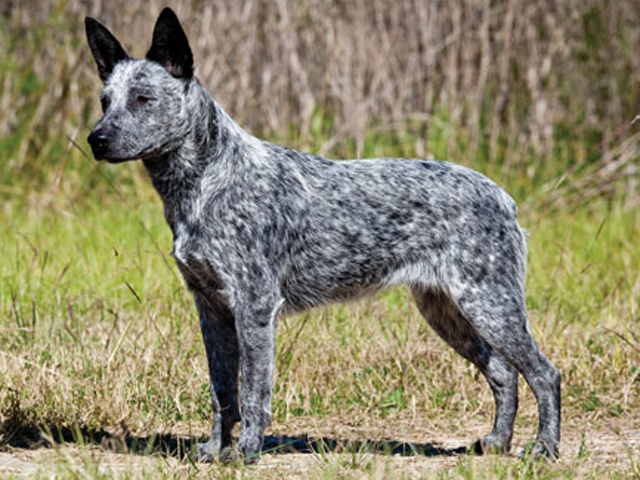 Australian Stumpy Tail Cattle Dogs are high-energy, intelligent and active. Not content with sitting around the house for hours on end, these dogs will encourage you to take them outside for exercise, play and work. Being herders, Australian Stumpy Tail Cattle Dogs can be one-person dogs, cautious and wary of strangers—qualities that make them excellent watchdogs. The Stumpy Tail Cattle Dog breed began evolving in the early 1830s because of the need for a dog that could work cattle in Australia's very harsh environment. The breed that we see today is the result of many years of careful thought and selective breeding by dedicated people. Three breeds of dog went into the making of the "Stumpy". First there was the crossing of the Dingo with an English breed of dog called the Smithfield which is where the gene comes from that is still present in the Stumpy today. Then the progeny from these matings were crossed with the smooth coated blue merle Collie and so a breed of dog was born that cattlemen, then and today, swear is the best working dog in the world.